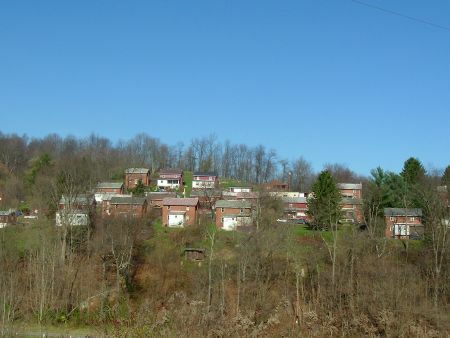 Four States, WV is a coal camp located in the back of an isolated hollow in southern Marion County. 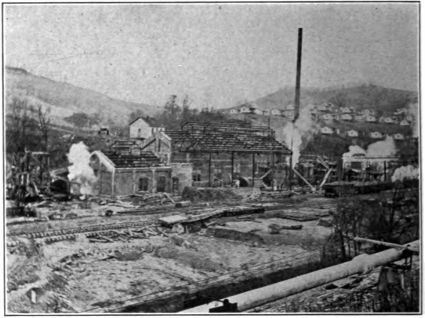 It was constructed in 1910 and opened in 1911 by Four States Coal & Coke Co., a subsidiary of the Pittsburg(sic) and Buffalo Co. from Pennsylvania. 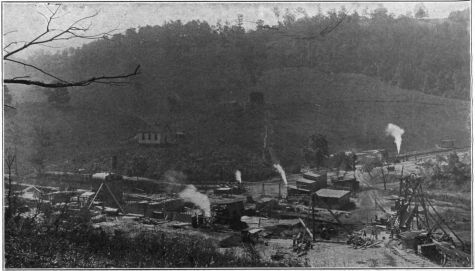 At the time the mine and mining town were called Annabelle, named after Annabelle Jones, daughter of Pittsburg-Buffalo co-owner Thomas Jones. 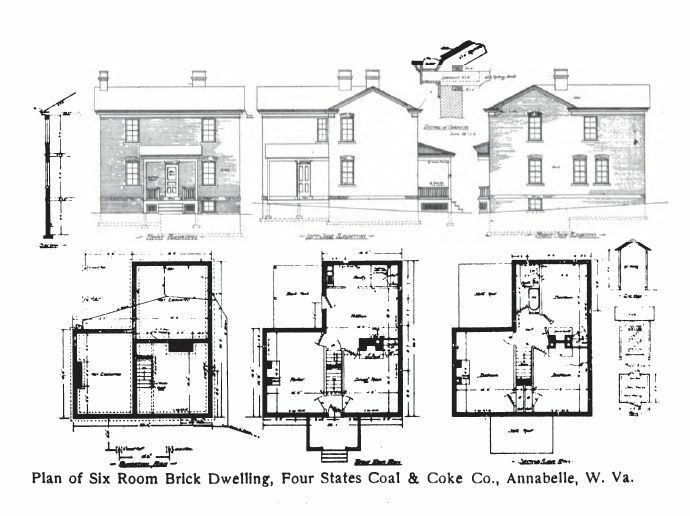 At first the land and coal reserves were purchased under the name Annabelle Coal & Coke Co., but the company name was soon changed to Four States. Annabelle No. 1 Mine was a shaft mine. 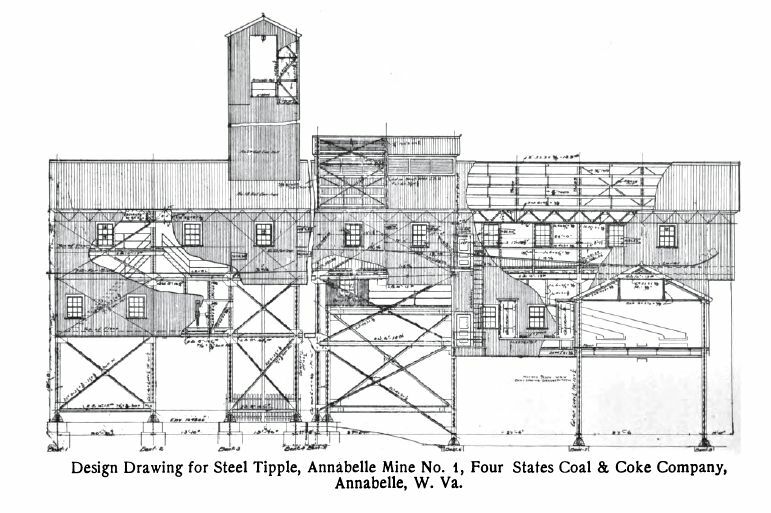 Four States operated the Annabelle mine continuously until 1932. 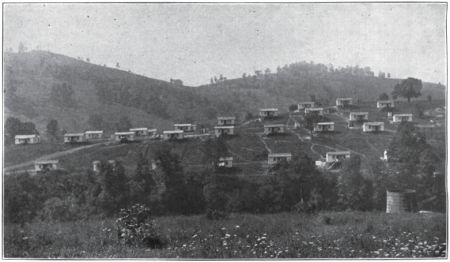 In 1926 this mine produced 384,113 tons of coal, which Four States rated at 14,100 BTU/lb and only 0.82% sulfur (which seems too low for the Fairmont Field coal). 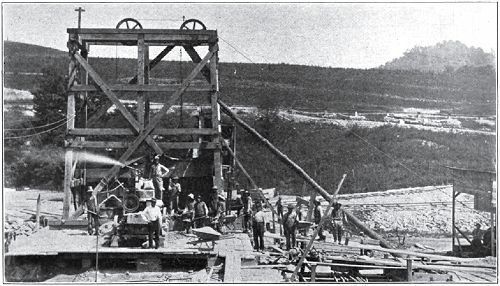 The lump, nut, pea, and slack coal was marketed for use in by-product coke ovens, coal gas manufacture, and the New England/East Coast industrial and residential markets. 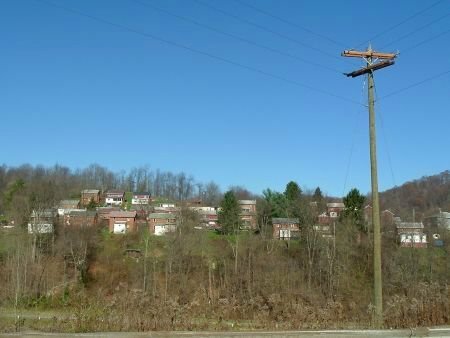 After being closed a few years it was put back into production in 1938 and 1939 by the similarly named Four States Coal Co. I had once stated that Four States/Annabelle was later owned by Christopher Coal Co., but now I don't know where I got that information.